Fulham are out west again on Saturday as we visit the Cardiff City Stadium for the second time in under two months. Fulham were victorious in Wales that time, but this match looks to be a far different kind of encounter. Both clubs have seen their managers put pen to paper on brand new deals, and in both cases it seems entirely justified. Slavisa Jokanovic has transformed this Fulham side from relegation candidates to a dark horse in the chase for the top 6. His counterpart Neil Warnock, has taken Cardiff from 22nd to 12th in less than five months. Slavisa was satisfied with Fulham’s performance at Bristol City on Wednesday and rightly so. The Whites looked comfortable from minute one, and with a bit more cutting edge could have easily won by a more convincing margin. With Sheffield Wednesday slipping up on Tuesday against Brentford, we are now just six points behind the Owls with one game against Blackburn in hand. On paper, this looks like a tougher proposition than Wednesday’s game. Cardiff are on a run of four wins in five, including away wins at Derby and Leeds. This run has alleviated any fears of being dragged into a messy relegation battle and has proved once again that Neil Warnock is a master of this league, after performing a similar feat last year with Rotherham. 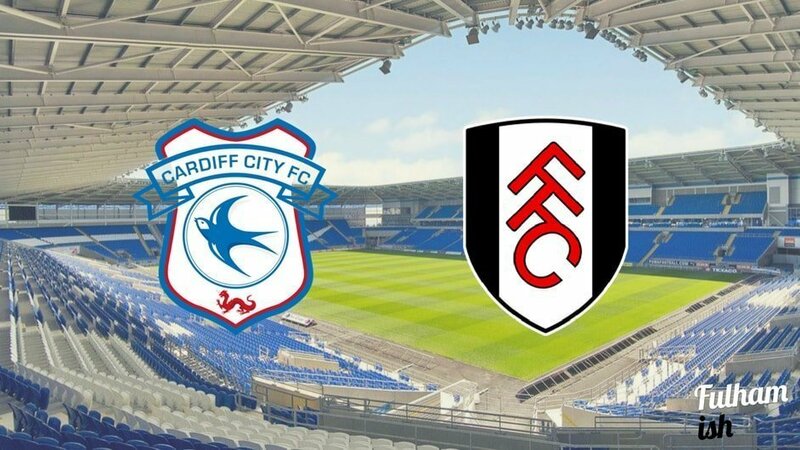 Fulham were able to pick through this Cardiff team back in January as they advanced to the FA Cup 4th Round at the Bluebirds’ expense. However, four clean sheets in eight games suggests that Cardiff will offer more resistance this time around. The previous league meeting in August ended in a 2-2 draw, with Kevin McDonald grabbing a late equaliser at the Cottage. The game was notable for 16 year old Ryan Sessegnon becoming the first player born after 2000 to score a Football League goal. If Fulham do win on Saturday, it will be our first run of four consecutive league victories in over 16 years, no pressure lads. Whilst it does feel peculiar playing without a recognised striker, we’ve got to admit the ‘false 9’ did work on Wednesday against Bristol City, so we’ve stuck for the same plan up top. Our only changes are at full back, where we’ve brought Fredericks to outpace Jazz Richards and drafted in Scott Malone to make amends for his Spurs nightmare against his former team. Cardiff are on a very strong run of form, and are looking sound defensively so it will be difficult to break them down. Much will depend on keeping in-form Kenneth Zohore quiet up front. If Fulham can do that then we see us just nicking a famous fourth consecutive win. We think 2-1 to the mighty Whites.